First of all, we know you’ve been waiting patiently for the information below, and we sincerely apologize for the length of time it took to get it together. But if wanting to put together an even sicker bill than previously announced is a crime, PLEASE LOCK US UP. 1) 50 additional pairs of tickets priced at $250.00 per person (not including taxes and fees) will be available via a public lottery sometime next week. We’ll announce the details here and on the 21 site beforehand. 2) Details regarding a limited number of room upgrades will be available at that time. 3) We regret to announce that at present, our supply of VIP tickets has been exhausted. If that situation changes, we’ll let you know. 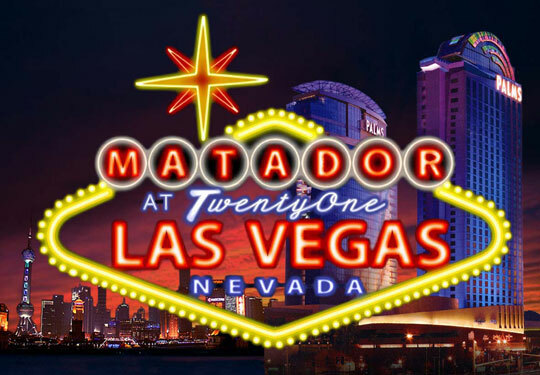 Matador at 21: The Lost Weekend takes place at the Palms Resort and Casino in Las Vegas from October 1-3, 2010. This event is sponsored by MySpace Music, Altamont and Incase. If yous all wants room confirmations, i recommend calling the palms and asking nicely. i just gots mine that way. Me and my brother are following you and Bob to the sportsbook on Saturday morning!! Up wouldn’t play a VIP only show!! I have some questions about the floor. Is everyone allowed there, up to capacity? What happens when I need to hit the bathroom? Will I be allowed back onto the floor, or should I bring the catheter? If this has been answered elsewhere, my apologies. 2am friday night just saved me more money i’d be losing somewhere!!! I have an extra GA ticket. If interested, email me at [email protected].